WMP is the abbreviated form for Windows Media Player. 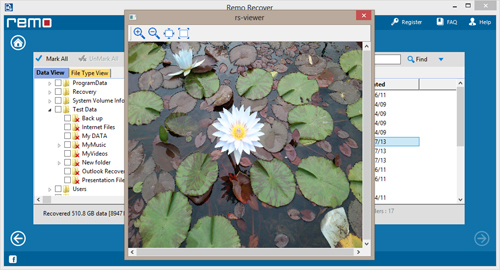 WMP is a media library application that is developed, launched and marketed by Microsoft. Windows Media Player is used to listen to music (audio files), watch video files and even images or photos in Windows computer or laptop. Apart from the above mentioned lists, one can use Media Player on their Windows OS to rip music files from and copy these to CDs. The most recent version for Windows Media Player is the Windows Media Player 12. Unlike Windows 8 OS, Windows RT does not run the WMP. Well, while listening to music or selecting multiple files from its playlist there can take place some human errors which further results into deletion of Media Played Files. Did you know that you can undelete Windows Media Player files that have been deleted long back. WMP supports file formats like .asf, .wma, .wmv, .wm, .avi, .mov and .qt etc. 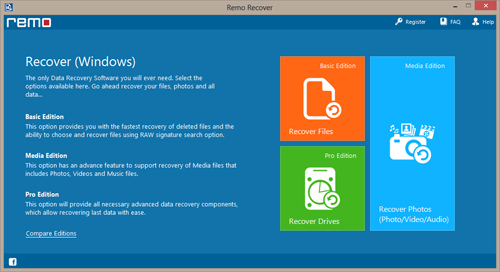 In order to recover deleted media files from Windows OS, user first needs to download this recovery software and launch it on their computer. 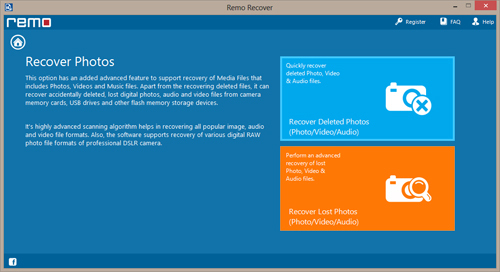 In the main screen from either of the two option user needs to hit the option "Recover Photos" and proceed further to restore back all the deleted WMP files as in Figure 1. 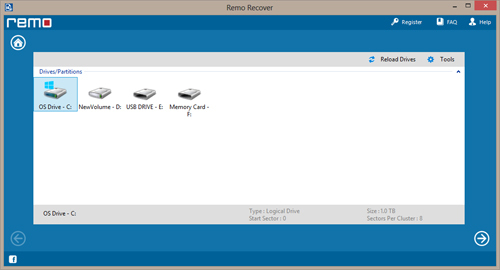 Once the particular drive is selected, a thorough scan randomly checks for all the deleted items and restores it back in a new location. User here can preview the file type after the recovery process is over either in "Data Type View" or "File Type View" and hence if satisfied with the recovery process can save the retrieved file as in Figure 4.